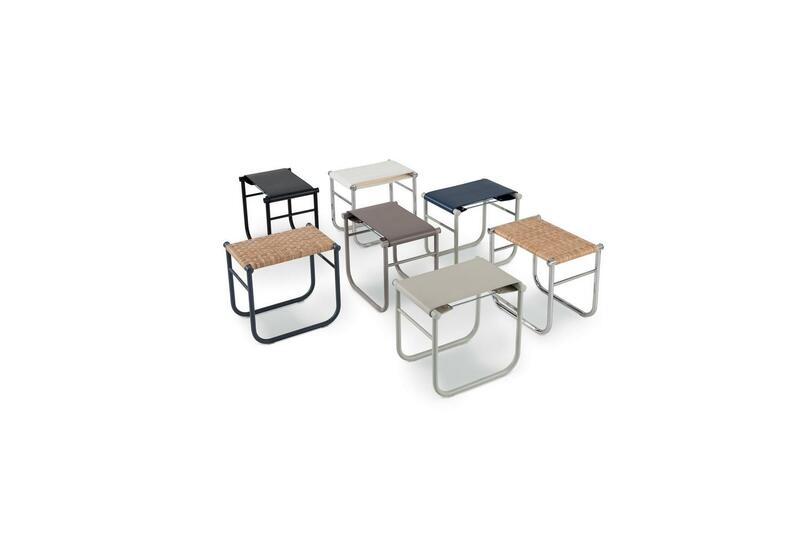 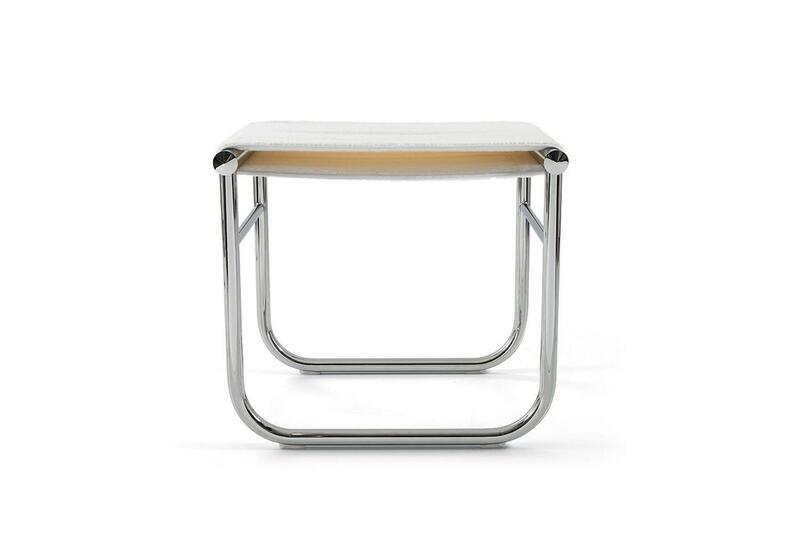 Stool with polished trivalent chrome plated (CR3) or enamel steel frame. 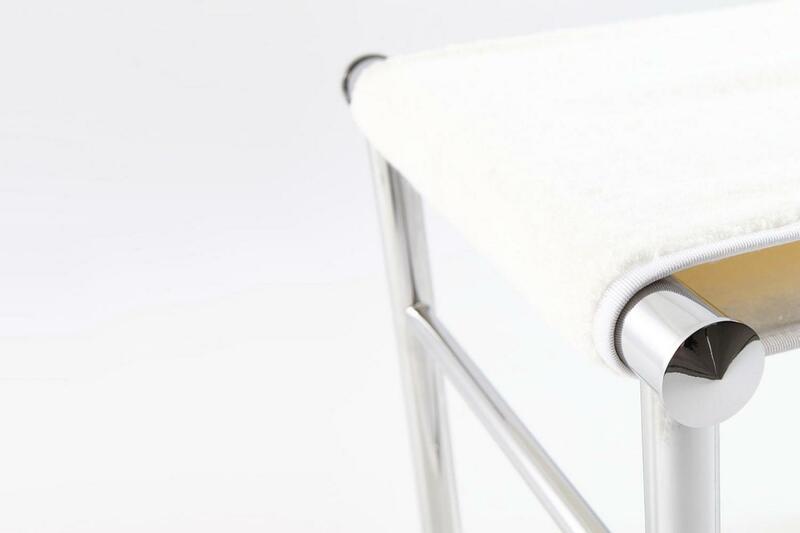 Available in different versions: seat in towelling stretch cream colour trimmed with matching grosgrain, exclusively with chrome plated steel frame. 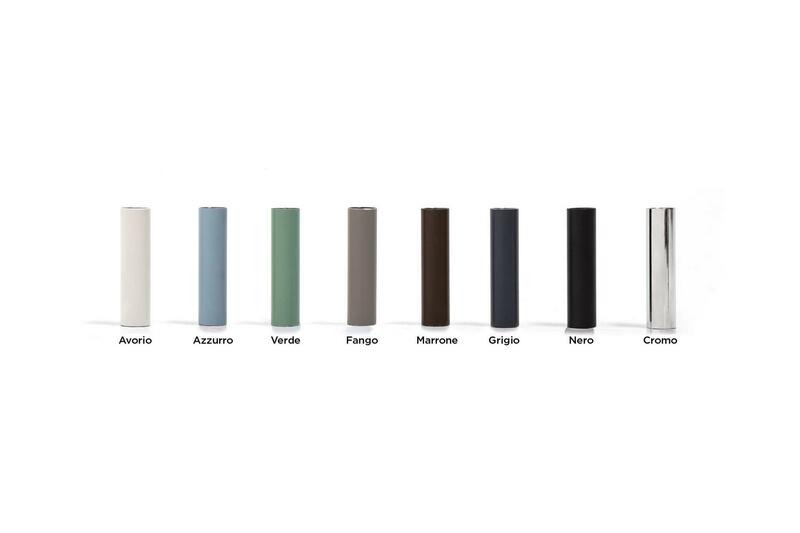 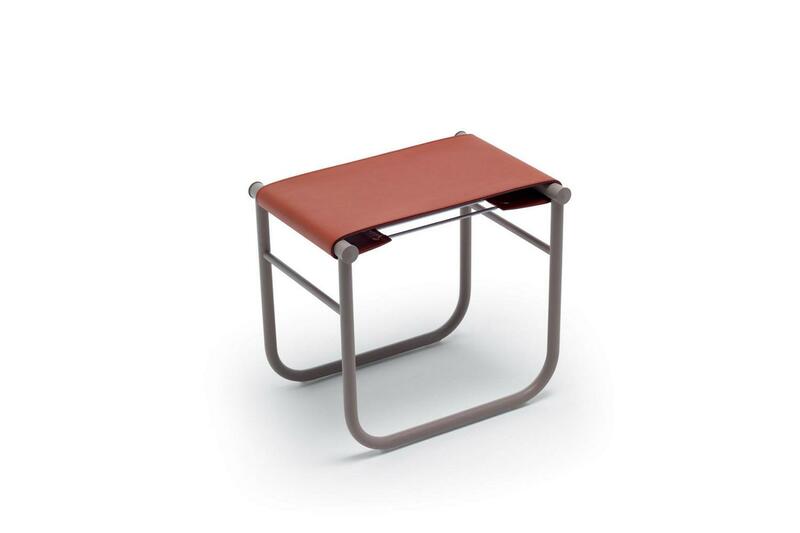 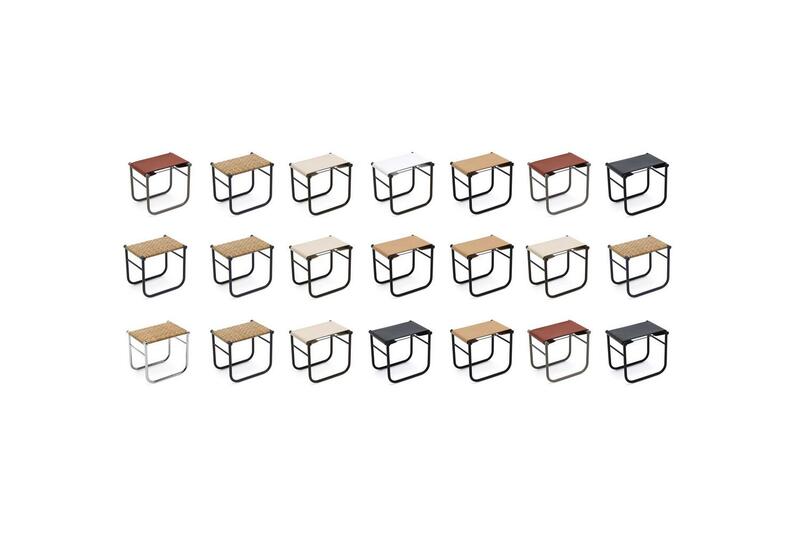 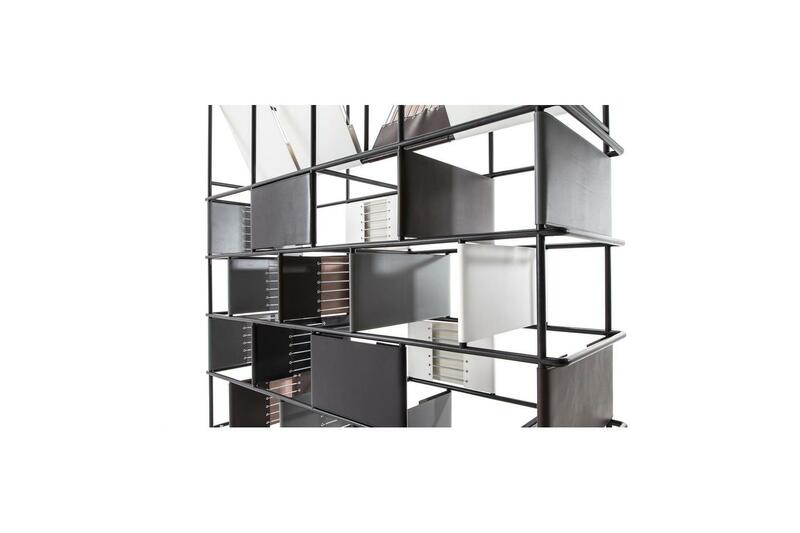 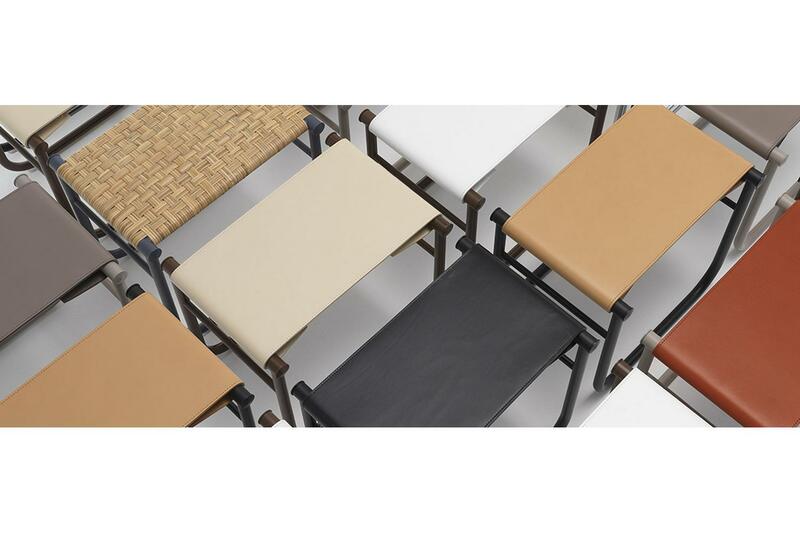 Seat in rigid leather in the range of colours as per pattern book with chrome plated frame or semigloss grey, light blue, green, brown, mud and ivory or black enamel frame. Seat in India cane woven by hand and padded with pad in polyurethane foam with chrome plated frame or grey enamel steel frame. 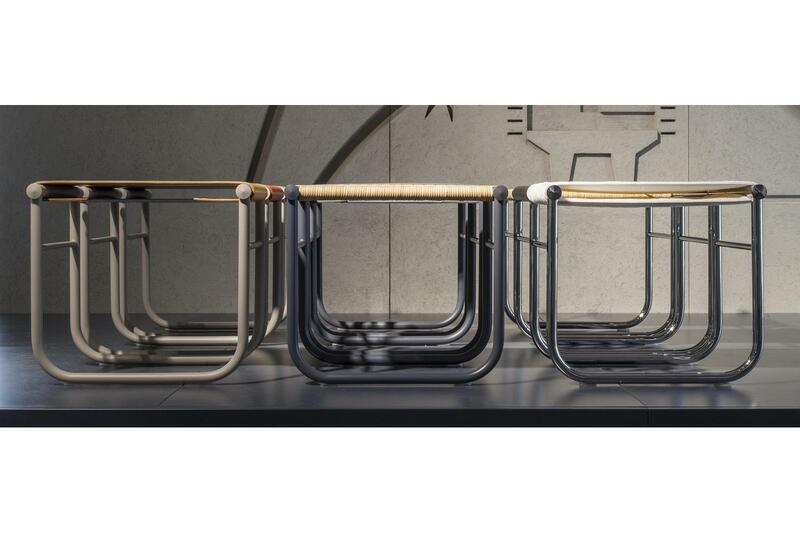 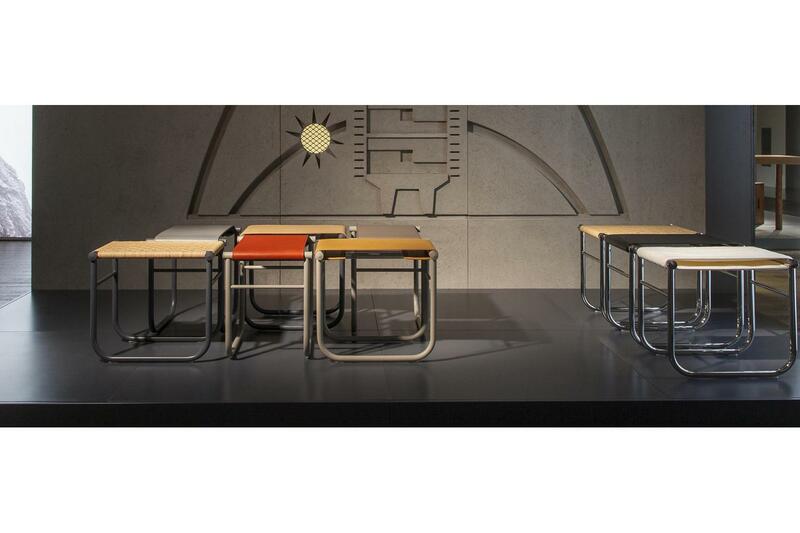 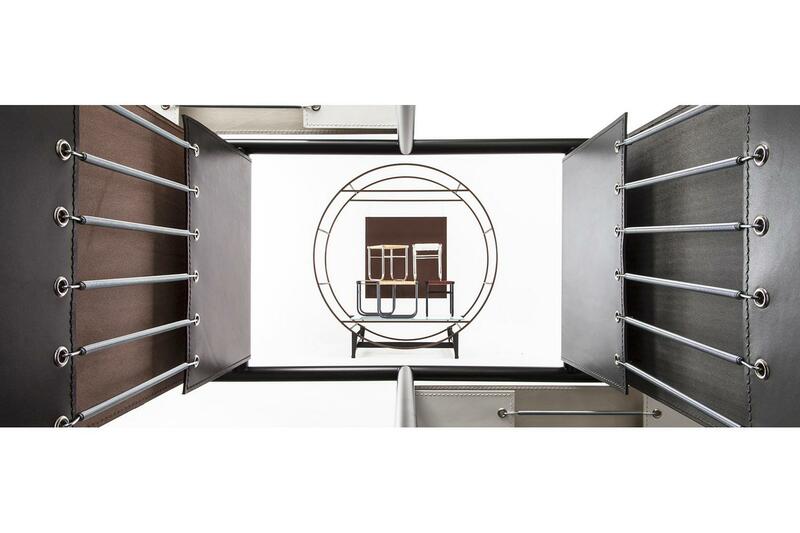 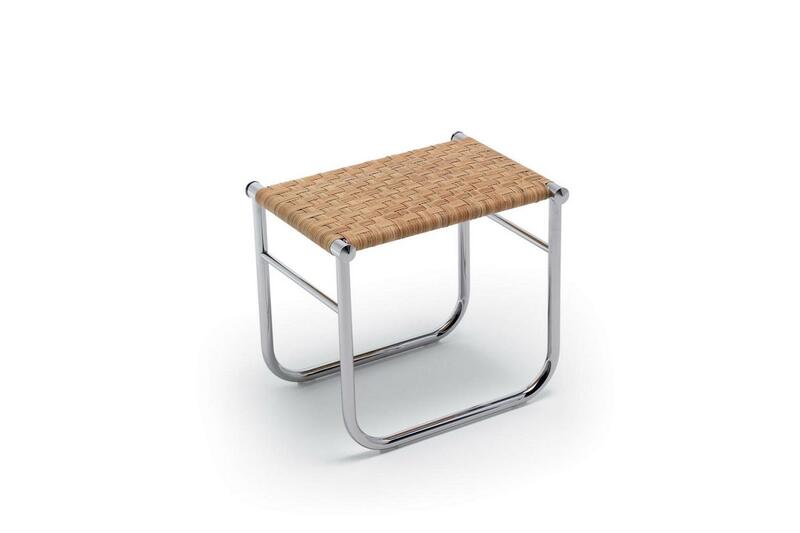 The first version, designed by Charlotte Perriand in 1927 for the dining room of her apartment in place Saint-Sulpice in Paris, was presented with tubular metal frame and seat in woven India cane. In the project of "Equipment interieur d'une Habitation", the stool was placed in the Salle de bain with a towelling stretch seat as a symbol of personal hygiene - an important issue for the modern art movements of the '20s.